Marine Sgt. 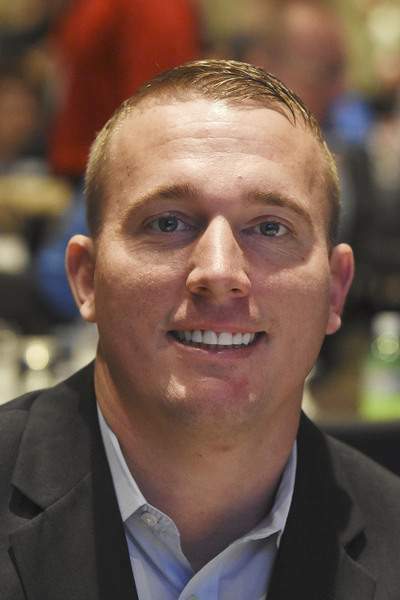 Dakota Meyer, the first living member of his service branch to receive the Medal of Honor since 1973, told an audience of several hundred supporters of local members of the military Friday that he thought twice about accepting the nation’s highest military honor. "I feel I failed that day," he said, referring to Sept. 8, 2009, when he was unable to rescue four members of his combat team before they died under fire in Afghanistan. "We live by the words, ‘Leave no man behind.’ You go get them or you die trying," Meyer said. He said he decided to accept the award only on behalf of his fallen companions, as well as all those who wear a military uniform in service to their country. At a luncheon Friday at IPFW’s Walb Student Union, Meyer addressed members and supporters of the Fort Wayne Base Community Council, which works in support of the 122nd Fighter Wing of the Air National Guard and other military groups in the Fort Wayne region. The council announced at the meeting it was changing its name to Northeast Indiana Base Community Council to stress regional involvement and broadening its vision statement. Its aim now is to have northeast Indiana become "America’s most engaged military community," said Tammy Kelly, former president of the group, which sponsors quarterly lunch­eons featuring talks of military interest. That means helping veterans and the families of the deployed and maintaining and attracting jobs with ties to the military, said Patrick Dooley, new community council president. Meyer, 28, who is also known since June as the husband of Bristol Palin, daughter of former Republican vice presidential candidate Sarah Palin, recounted being in Kunar province on a day when American forces had been told a village in the Ganjigal Valley was going to renounce the Taliban at a meeting and join the Afghan government forces. The troops’ mission, he said, was to secure the meeting and village for later use – a task, he said, he wasn’t particularly comfortable with at the outset. Almost immediately, he said, the troops came under attack. "We’d been set up," Meyer said. "Big surprise." The fighters were obviously trained Taliban, not locals, he said. And, after one team member requested four times to go in and get others who were pinned down under heavy fire and was denied, "Finally, I said, ‘I gotta go.’ " Meyer said. "I knew that if the situation was as bad as I thought it was, I was going to answer to metal for it," he added, referring to military top brass. "I’d rather be answering for the consequences" than allowing his fear or inaction to assist the taking of the lives of others. Although details of the military’s story about Meyer have come under criticism and scrutiny, Meyer said he only did what any other Marine would have done. "I’ve been called an American hero," he said. "But I’m not."